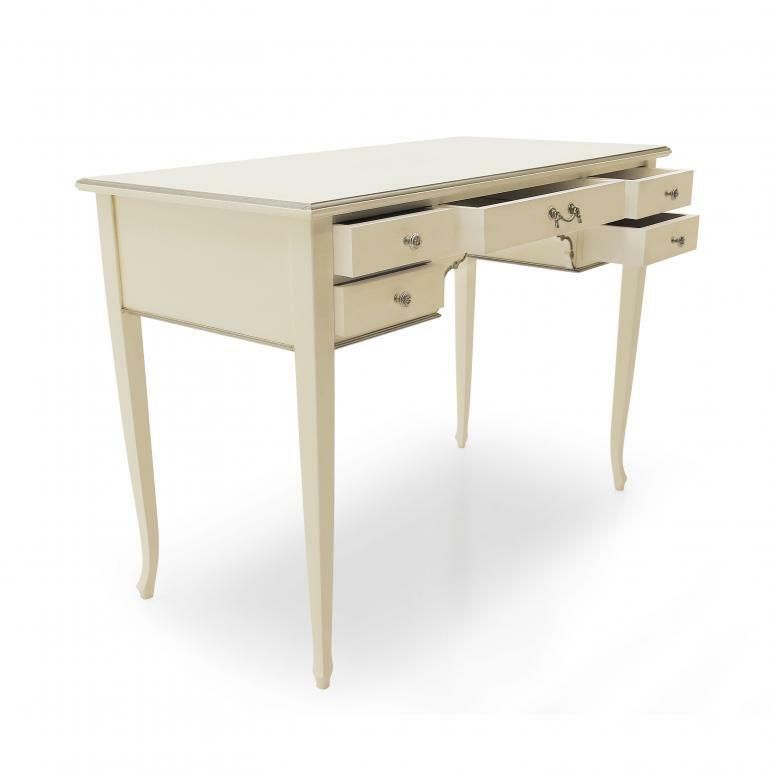 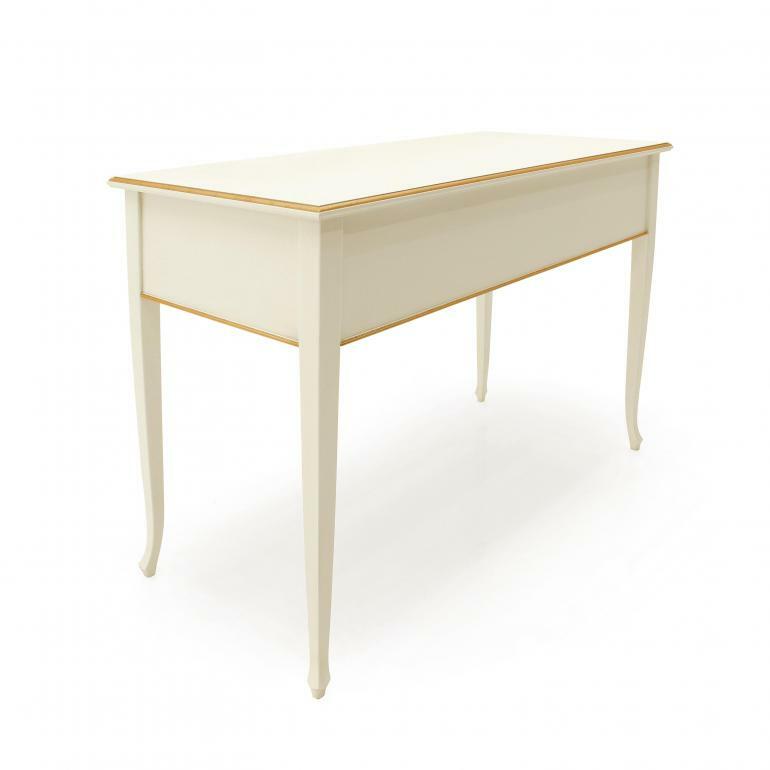 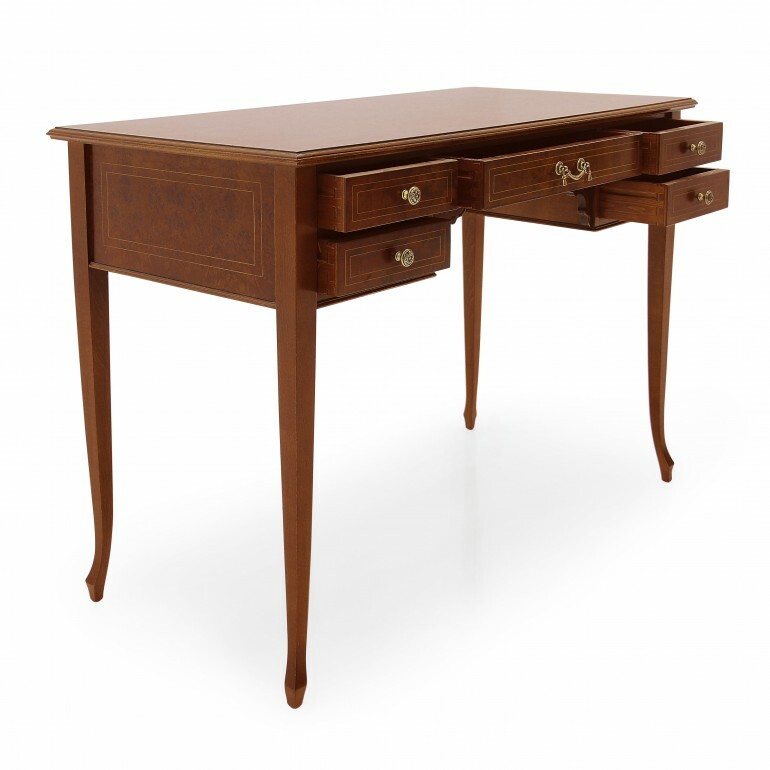 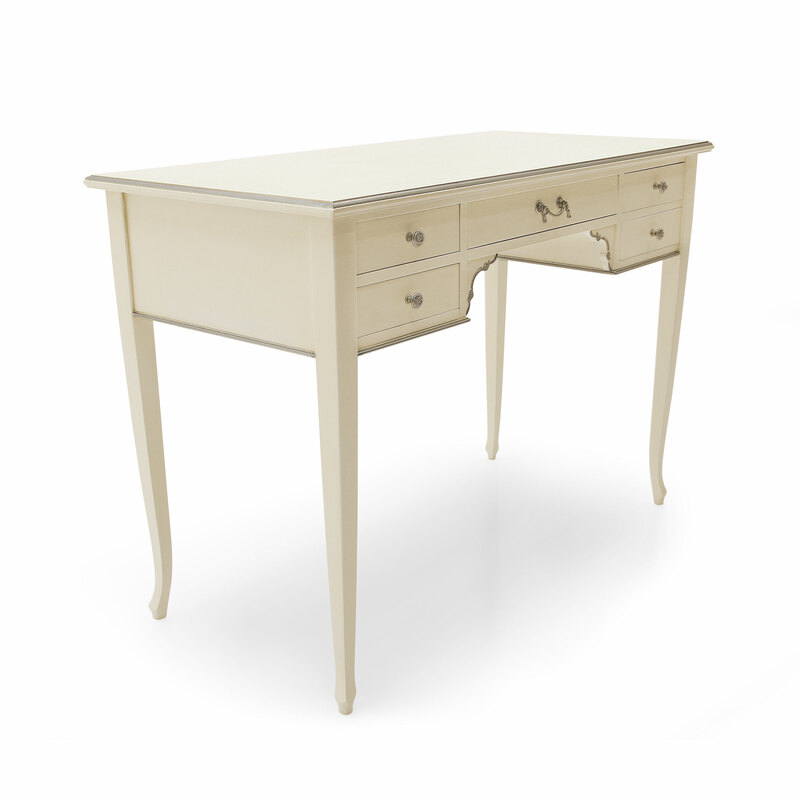 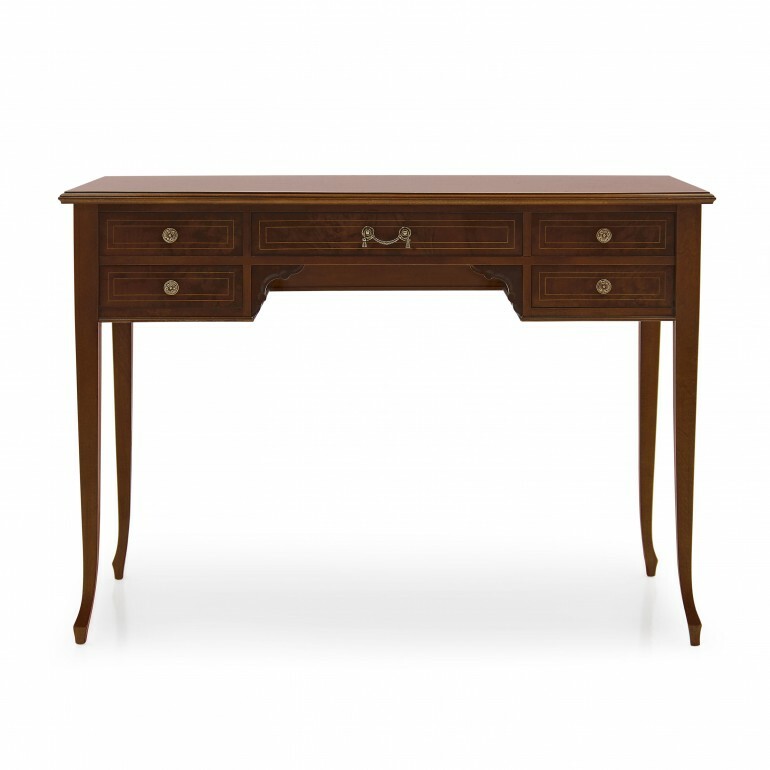 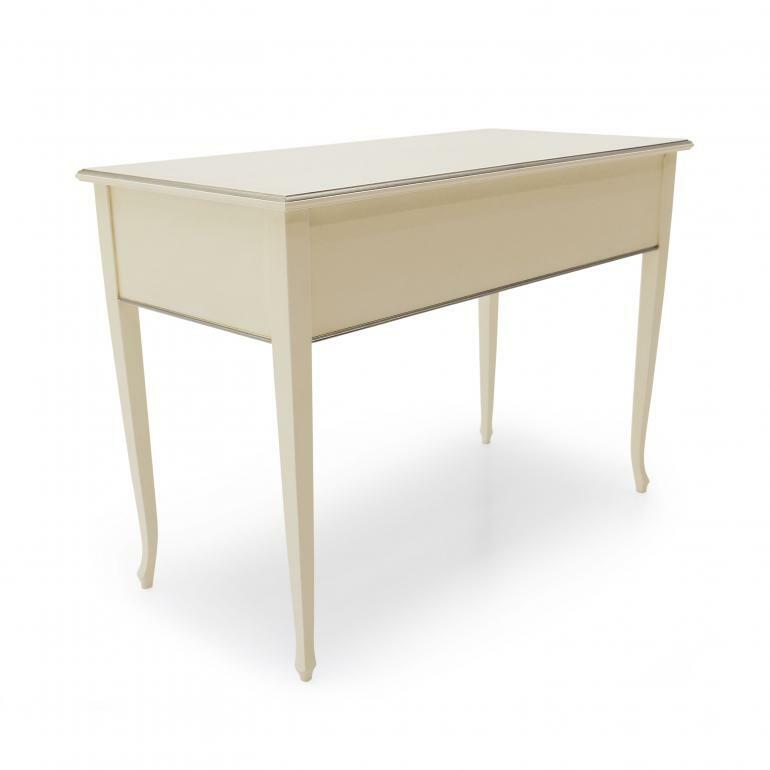 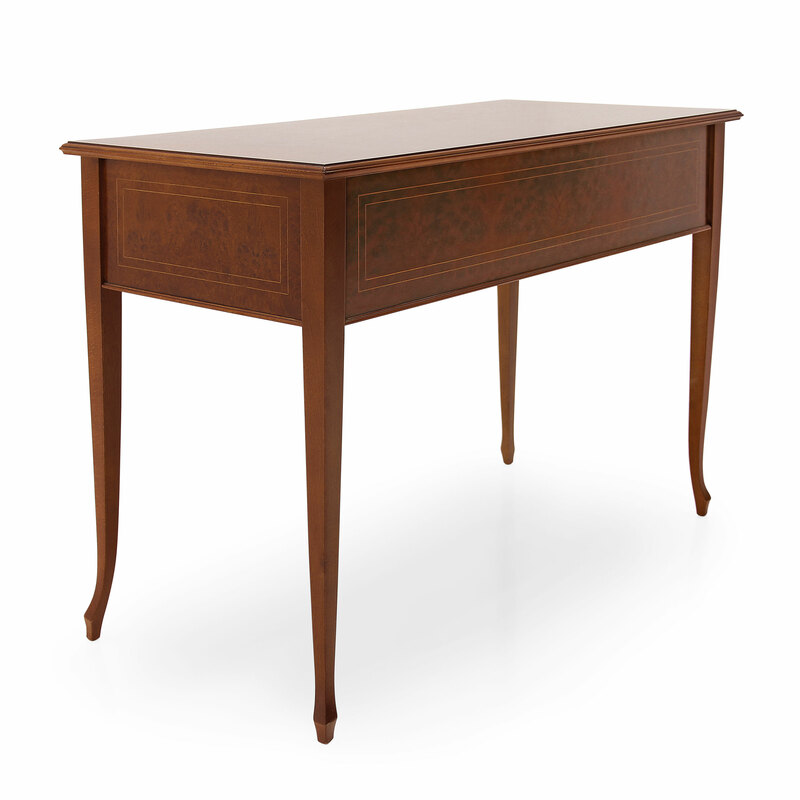 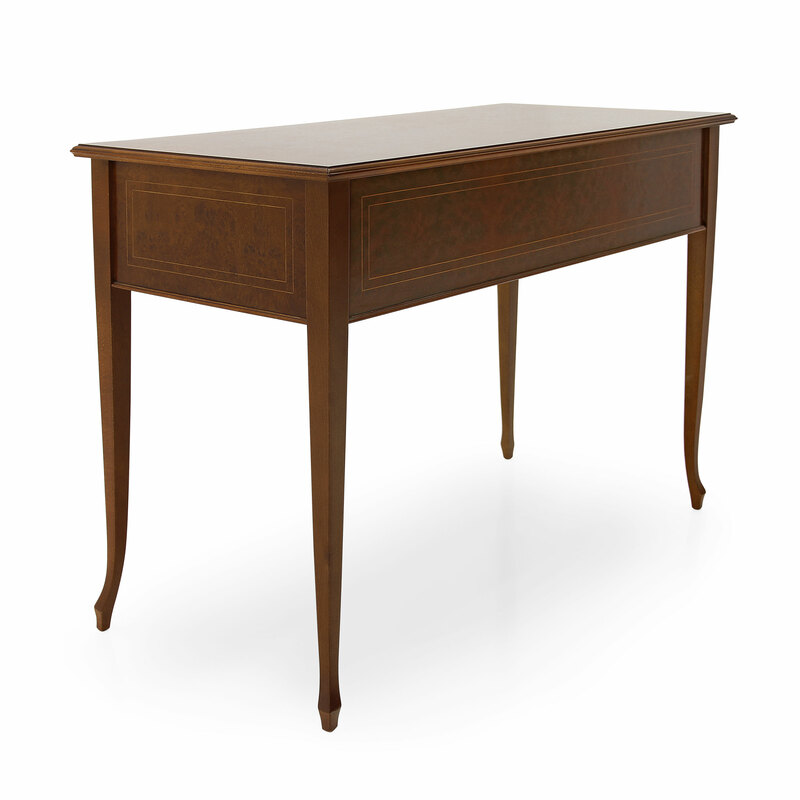 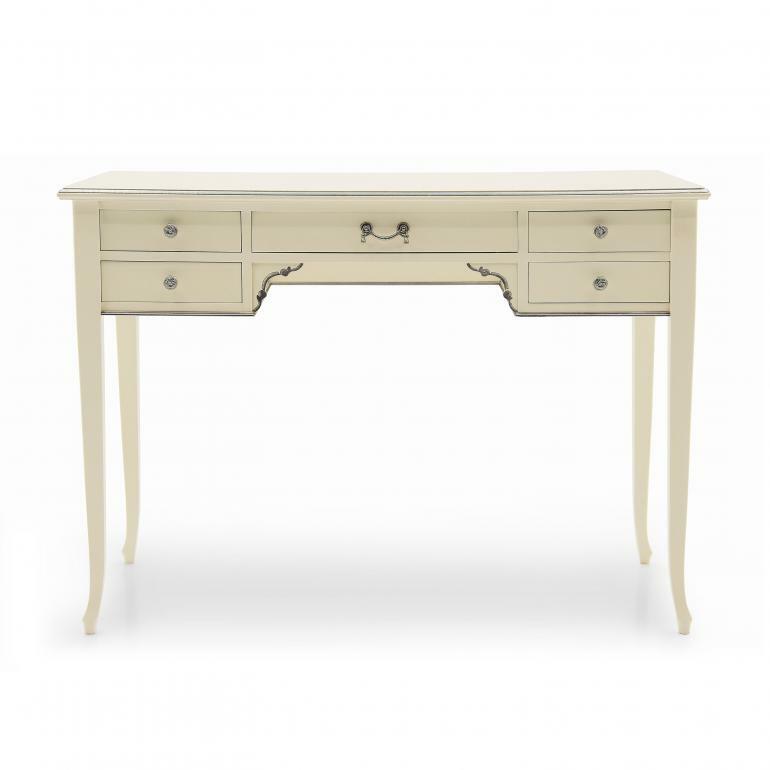 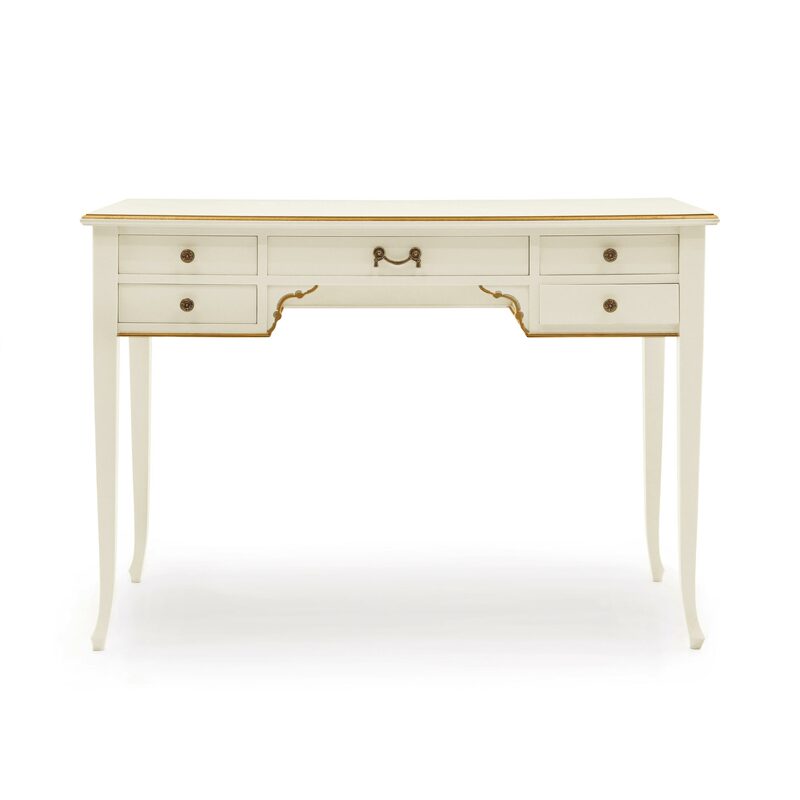 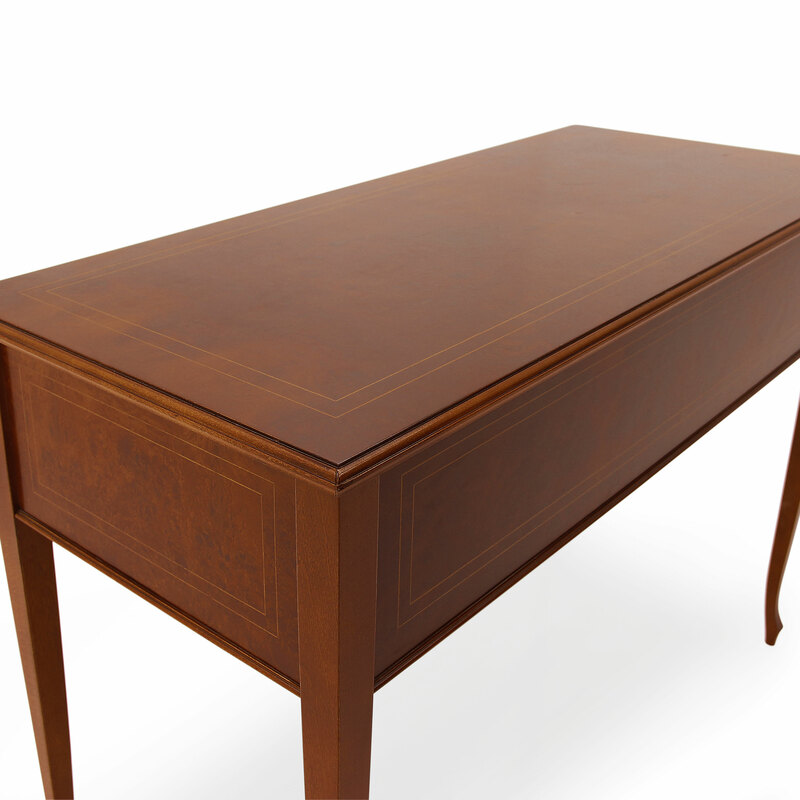 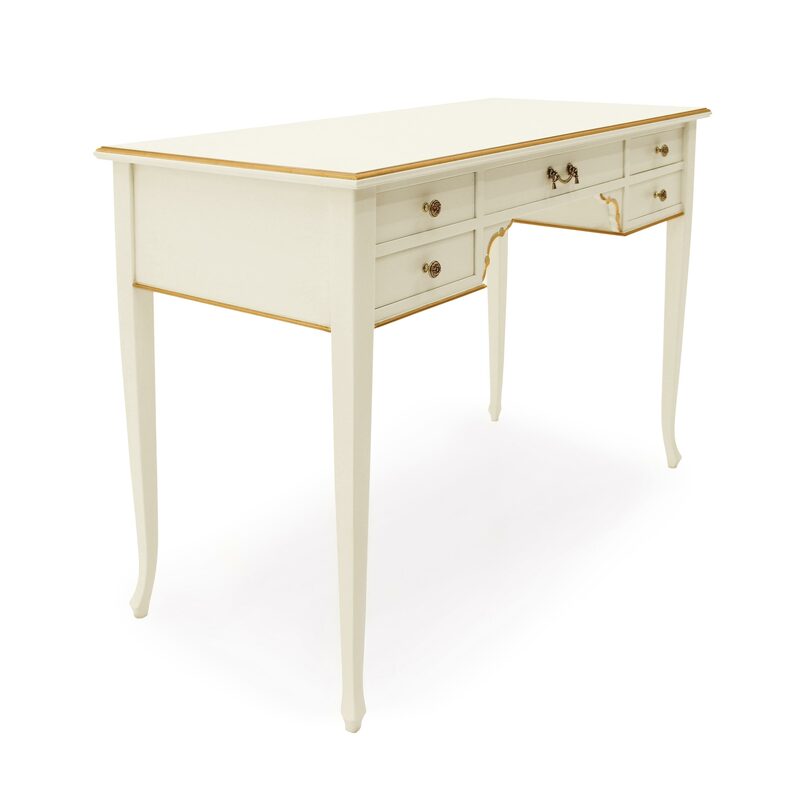 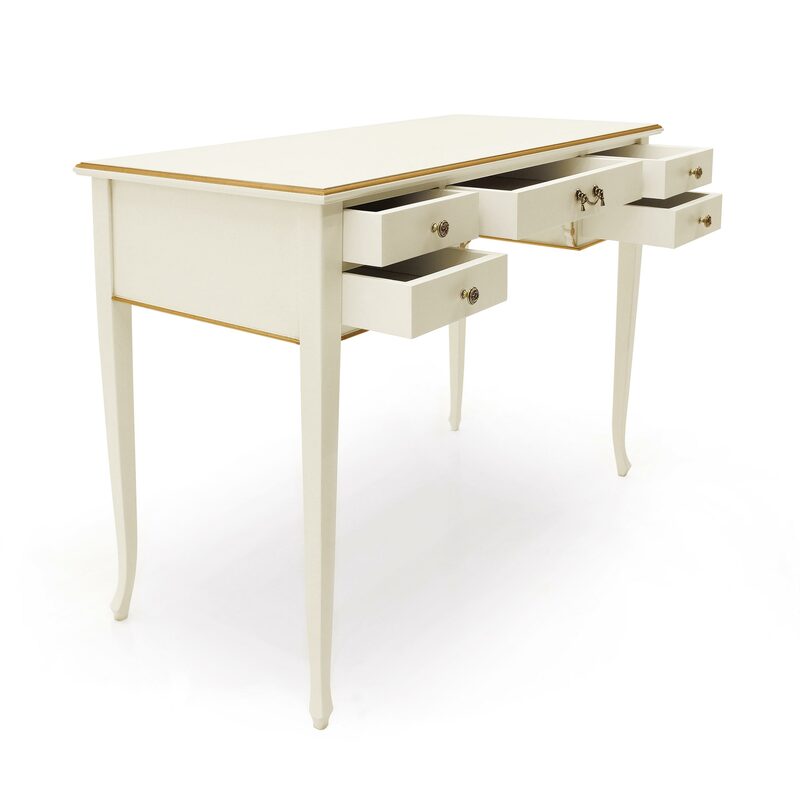 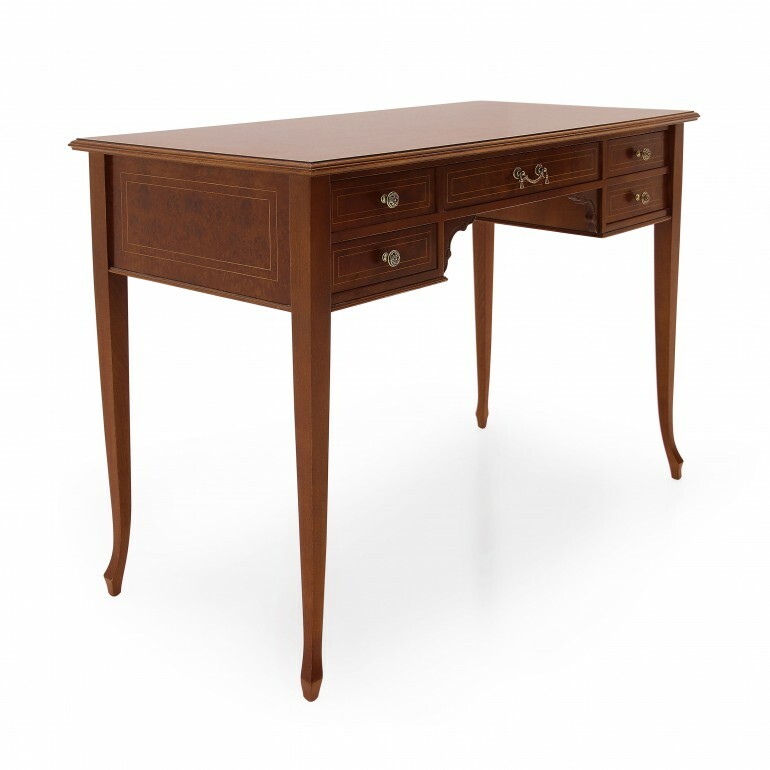 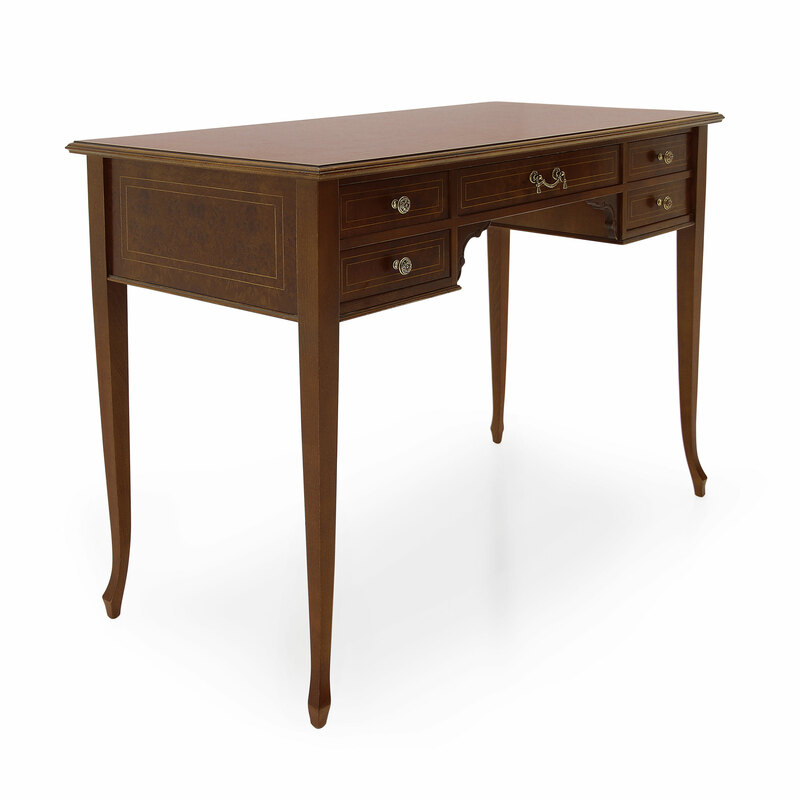 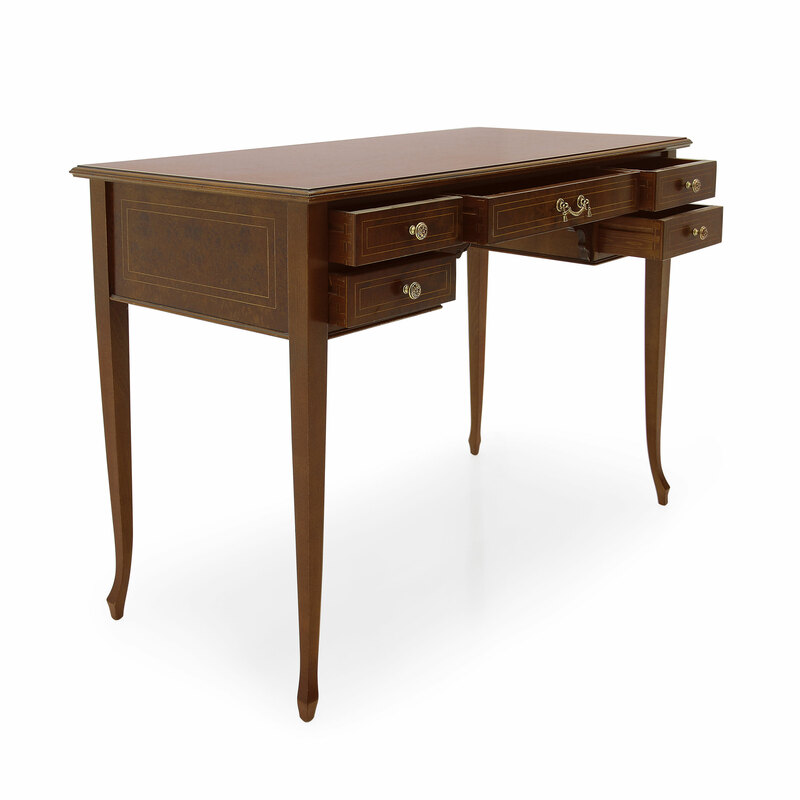 Elegant Directoire style beech wood writing desk. 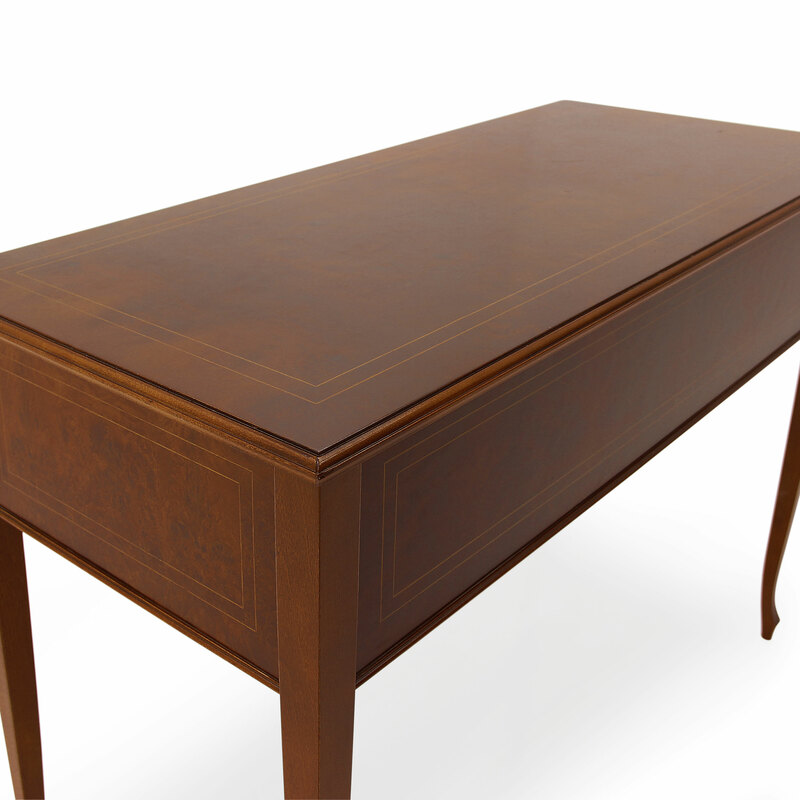 .It features several inlays and the surface is almost entirely covered with briarwood veneer. 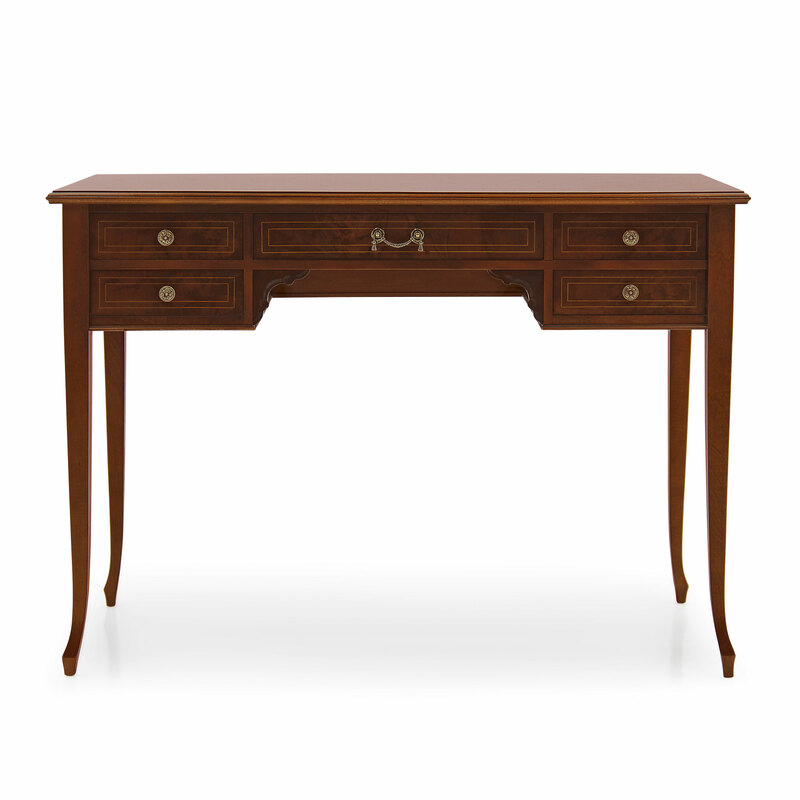 It features five drawers and we recommend a polished finish that allows the grain of the briarwood to show through.